For the economist (born 1948), see Charles P. Oman. Sir Charles William Chadwick Oman, KBE, FBA (12 January 1860 – 23 June 1946) was a British military historian. His reconstructions of medieval battles from the fragmentary and distorted accounts left by chroniclers were pioneering. Occasionally his interpretations have been challenged, especially his widely copied thesis that British troops defeated their Napoleonic opponents by firepower alone. Paddy Griffith, among modern historians, claims that the British infantry's discipline and willingness to attack were equally important. Oman was born in Muzaffarpur district, India, the son of a British planter, and was educated at Winchester College and at Oxford University, where he studied under William Stubbs. Here, he was invited to become a founding member of the Stubbs Society, which was under the patronage of Oman's don. In 1881 he was elected to a Prize Fellowship at All Souls College, where he remained for the rest of his academic career. He was elected the Chichele Professor of Modern History at Oxford in 1905, in succession to Montagu Burrows. He was also elected to the FBA that year, and served as President of the Royal Historical Society (1917–1921), the Numismatic Society and the Royal Archaeological Institute. Oman's academic career was interrupted by the First World War, during which he was employed by the government's Press Bureau and the Foreign Office. Oman was the Conservative Member of Parliament for the University of Oxford constituency from 1919 to 1935, and was knighted KBE in the 1920 civilian war honours list. He became an honorary fellow of New College in 1936, and received the honorary degrees of DCL (Oxford, 1926) and LL.D (Edinburgh, 1911 and Cambridge, 1927). He died at Oxford aged 86. He was awarded the Medal of the Royal Numismatic Society in 1928. Two of Oman's children became authors. His son Charles (C. C. Oman) wrote several volumes on British silverware and similar houseware, worked as a Keeper of the Department of Metalwork in the Victoria and Albert Museum, and was active in the Folklore Society (and was in turn father to Julia Trevelyan Oman). His daughter Carola Oman was notable for her historical biographies. England and the Hundred Years War, 1327–1485 A.D. (1898), No. III of The Oxford Manuals of English History, Charles Oman, ed. The History of England from the Accession of Richard II. to the Death of Richard III. (1377–1485), Vol. IV of The Political History of England (1906), William Hunt & Reginald Poole, ed. A History of England Before the Norman Conquest (1910; 8th ed. 1937), Vol. I of A History of England in Seven Volumes (1904–), Charles Oman, ed. ^ "OMAN, Charles William Chadwick". Who's Who,. 59. 1907. p. 332. ^ "No. 31840". The London Gazette (Supplement). 30 March 1920. p. 3759. ^ "The Royal Numismatic Society-The Society's Medal". The Royal Numismatic Society. Retrieved 26 December 2016. ^ "Society Meetings, 18 June 1958". Folklore. 69 (3): 216. 1958. JSTOR 1258870. ^ "Minutes of Meeting: June 15, 1949". Folklore. 60 (3): 305. 1949. JSTOR 1256648. "Minutes of Meeting. Wednesday, 20th November, 1929". Folklore. 41 (1): 1. 1930. JSTOR 1256028. "Report of the Council for 1943". Folklore. 55 (2): 50–53. 1944. JSTOR 1256901. ^ Tait, James (October 1892). "Review of Warwick the Kingmaker by Charles W. Oman". The English Historical Review. 7: 761–767. ^ "Review of History of the Peninsular War, Vol. II, January–September 1809 by Charles Oman". The Athenæum (3953): 145–146. 1 August 1903. ^ Tait, James. (January 1907). "Review of The Great Revolt of 1381 by Charles Oman". The English Historical Review. 22: 161–164. The Peninsular War (1807–1814) was a military conflict between Napoleon's empire and Bourbon Spain, for control of the Iberian Peninsula during the Napoleonic Wars. The war began when the French and Spanish armies invaded and occupied Portugal in 1807, and escalated in 1808 when France turned on Spain, previously its ally. The war on the peninsula lasted until the Sixth Coalition defeated Napoleon in 1814, and is regarded as one of the first wars of national liberation, significant for the emergence of large-scale guerrilla warfare. Sir Adolphus William Ward, FBA was an English historian and man of letters. The Battle of Corunna took place on 16 January 1809, when a French corps under Marshal of the Empire Nicolas Jean de Dieu Soult attacked a British army under Lieutenant-General Sir John Moore. The battle took place amidst the Peninsular War, which was a part of the wider Napoleonic Wars. It was a result of a French campaign, led by Napoleon, which had defeated the Spanish armies and caused the British army to withdraw to the coast following an unsuccessful attempt by Moore to attack Soult's corps and divert the French army. David George Hogarth,, also known as D. G. Hogarth, was a British archaeologist and scholar associated with T. E. Lawrence and Arthur Evans. He was Keeper of the Ashmolean Museum, Oxford from 1909 to 1927. General Sir Brent Spencer was an Anglo-Irish officer in the British Army, seeing active service during the American Revolutionary War and the French Revolutionary Wars. During the Peninsular War he became General Wellesley's second-in-command on two occasions. He fought at Vimeiro and testified in Wellesley's favor at the inquiry following the Convention of Cintra. He led a division at Bussaco and two divisions at Fuentes de Onoro. After the latter action, he had an independent command in northern Portugal. Wellesley, now Lord Wellington, was not satisfied that Spencer was up to the responsibilities of second-in-command and he was replaced by Thomas Graham. Miffed, Spencer left Portugal and never returned. He became a full general in 1825. To be hanged, drawn and quartered was a penalty in England and the United Kingdom for several crimes, but mainly for high treason. This method was abolished in England in 1870. 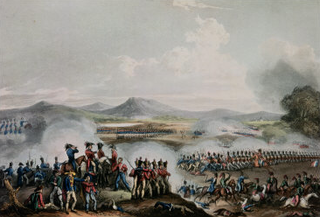 The Battle of Braga or Battle of Póvoa de Lanhoso or Battle of Carvalho d'Este saw an Imperial French corps led by Marshal Nicolas Soult attack a Portuguese army commanded by Baron Christian Adolph Friedrich von Eben. Soult's professional soldiers slaughtered large numbers of their opponents, who were mostly badly disciplined and poorly armed militia. The action occurred during the Peninsular War, part of the Napoleonic Wars. Braga is situated about 45 kilometres (28 mi) north-northeast of Porto (Oporto). Edward James Rapson FBA was a British numismatist, philologist and professor of Sanskrit at the University of Cambridge. He was a fellow of St. John's College. Rapson died following a sudden collapse at dinner at St. John's. 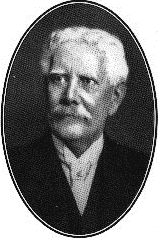 Barclay Vincent Head (1844–1914) was a British numismatist and keeper of the Department of Coins and Medals at the British Museum.